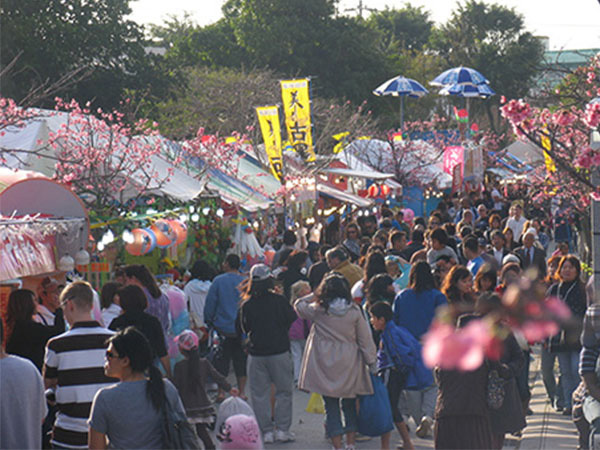 This festival held on the final weekend of January is hosted by the community and there is entertainment to see and food stalls to eat from, as well as the beautiful cherry trees lined up from Nago Central Park down to the streets around the Nago City crossroads. Nago Fishing Port is available as a temporary parking lot for those who want to enjoy the festival and a shuttle bus service will be provided between the port and venue. Buses run every 20 minutes from 12:00 to 16:00 (journey length is approximately 20 minutes). In addition, during these two days the Nago crossroads will be closed to vehicles due to events being held all day on the streets such as street dance and live music shows. 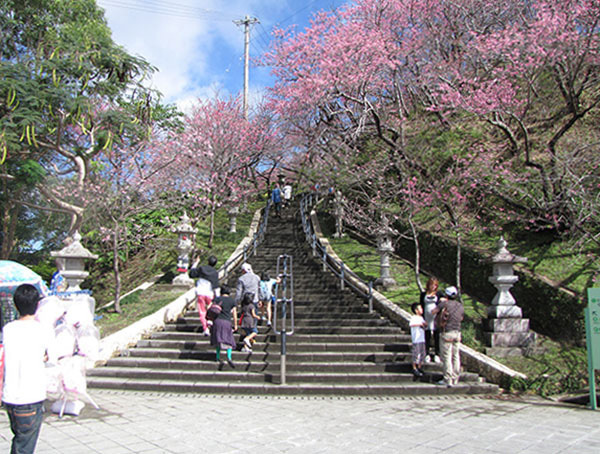 Enjoy a view of beautiful cherry blossoms while taking a walk around Nago Castle ruins, and after that why not try tasting hot sake sold at various food outlets.